This unassuming former medical facility outside Salt Lake City stands next to a graveyard and is home to a full-contact Halloween haunt with a difference: the ghosts are all too real, and they are very willing to interact with the living. Hundreds of staff members, customers, and ghost hunters have encountered them firsthand over the years. 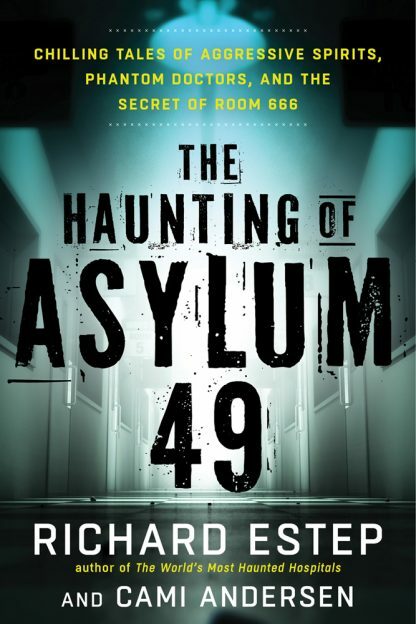 Join paranormal investigator Richard Estep and Asylum 49 owner Cami Andersen for a behind-the-scenes insider tour of one of the world�s most haunted hospitals. Meet the ghostly children who like to tease unsuspecting visitors and the angry ER doctor who insists on things being done his way...or else. Explore the maze, home to a malicious dark entity named �The Guardian,� and meet Jeremy, who died of severe burns and whose appearances are heralded by the smell of lingering smoke. These and the many other restless spirits have their own stories to tell, their own reasons for continuing to haunt the darkened rooms and shadowy hallways. Cami Andersen is owner of the Old Tooele Valley Hospital, Asylum 49, along with her husband Kimm, niece Dusty Kingston, and sister-in-law Sonja Andersen. She has been investigating claims of paranormal activity in homes and business across Utah and the surrounding states for more than a decade, while continuing research into the mysteries of the spirits at the Old Tooele Valley Hospital.